Earlier this year I wrote an article on my blog about how to block acrylic. It's turning out to be a very popular one, so I decided I'm going to repost it here, with the patterns, where it ought to be. Being a member of Ravelry, I get to read all kinds of wonderful information on the subject of knitting, crochet, spinning, etc. It's a veritable fountain of all things knitterly. However, there is one thing that pops up in the forums every so often that just makes my blood boil. The myth that acrylic can not be blocked. I've found the hand knitting community seems to believe this to be true (not so in the home machine knitting community). Even the celebrity designers do. Acrylic CAN be blocked. Let me repeat that. In fact, it should be blocked. From my observations, I would say someone along the line made an acrylic sweater, blanket, or whatnot, blocked it in their usual 'wet blocking' manner and it didn't work. Therefore, acrylic doesn't block-warn everybody. No, it can be blocked. You're just doing it wrong. I'm gonna tell you how to do it right. Acrylic is basically a form of plastic. It requires steam blocking. It's the way it's done in the professional garment industry. It's the way we should be doing it. It's quite easy to do. 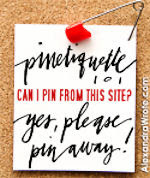 You pin your pieces out on your blocking board to the measurements required, making sure the straight edges are straight and even, and the curves are curved properly. If your gauge is just a little bit off so the piece is a little too small, you can stretch it out to where it's supposed to be. The change will be permanent once the blocking is complete. I use blocking wires for this purpose. I love my blocking wires. 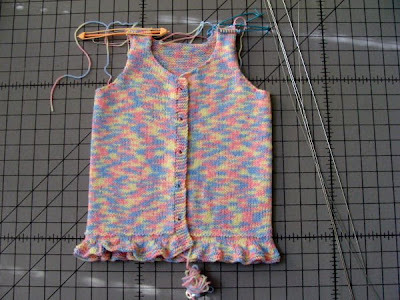 In fact, I consider blocking wires the best way to pin a garment out for blocking. Takes way less pins, you don't end up with those scalloped wavy edges, and it's much more accurate for blocking to schematic measurements. Make sure, if you get some, to get a set that has the thin flexible wires for doing curves as well as the regular straight ones. Curves need blocking too. For the most part, I usually pin things wrong side up. However, if the fabric has a deeply textured pattern in it, like cables and twisted stitches, I will pin it right side up to prevent the texture from being flattened. After pinning it out, you steam it gently. I own a Jiffy Steamer for the purpose because knitting is my obsession. However, a good steam iron works just fine. Make sure you hover over the garment. Do not touch the fabric with the iron or it will melt. Do not over-steam it either or you'll kill it. While steaming I will gently pat the fabric with my fingers to smooth it out. That's pat, not slide. Sliding your hand over it will cause it to stretch where it shouldn't. If there are cables, I'll pinch them a bit so they stand out a little bit more. Killing is another one of those misunderstood issues. Killing acrylic means to overheat it to the point that it melts enough to lose it's elasticity. Just steaming it a bit won't kill acrylic. Sometimes a person wants to kill it on purpose, in which case, kill away. Killed acrylic has a wonderful silky drape that is quite pleasant, and unique. I have on occasion killed some acrylic on purpose for just this reason. It makes wonderful pleated skirts this way. 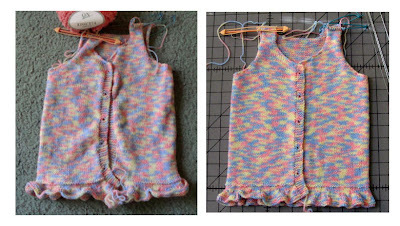 Here are some comparison photos of a baby cardigan I'm currently making. Please click on them to get enlarged versions. A little wrinkly, the stitches are uneven, the sides want twist, the ruffle wants to curl in an unattractive way, the button band curves and the edges inside the button band are puckered. The fabric is smoother, the button band is straight, the inside edges don't pucker, the sides are straight and even, and the ruffle lays as it should. Close up of same corner as above. Now, lets see side by side views. Which one would you rather be seen in? (Assuming you're the same size as a 6 month old baby of course) I don't want to hear any more "Acrylic can't be blocked". Okay? By the way, I steam block almost everything. Wool responds beautifully to steam blocking. I can't stand wet blocking. It's a poor and inefficient way to finish the fabric. If the professional garment industry can steam block, so can we. I am constantly being asked if steam blocking acrylic is permanent, or will it have to be reblocked after washing? The answer is it's permanent. So feel free to toss that gorgeous acrylic garment in the washer and dryer. For those who are interested, the finished garment. OH great news! I'm wringing my hands over how to block my acrylic Endless Cardi Shawl and I found this link through your thread on Ravelry. Thanks for the post! This came in handy. I'm making my first handknit sweater with an acrylic, and I really want it to come out right. Thanks for taking the time to write this article. 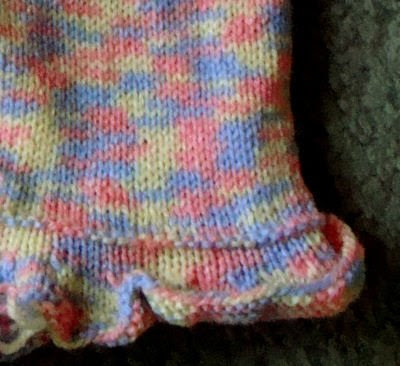 I'm confused about one aspect though, you mentioned when you have knitted an item with cables you'll pin it right side up,to keep the texture, is this correct? Previously you mention pinning something wrong side down, isn't this the same as right side up? You are absolutely right. I've made an error. It's supposed to read wrong side UP. Thanks for noticing that for me. I've corrected it. "Which one would you rather be seen in?" The wrinkled one. 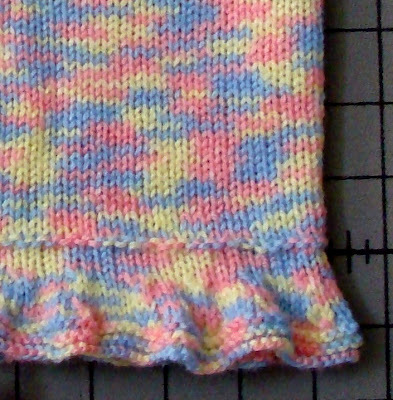 I don't care for my hand knits to look like store bought stuff. I like the wrinkly incarnation much better. Thanks, With a family of 5 and a full time 3rd shift job the more expensive animal fiber yarns just aren't practical for as much as I knit/crochet. nice to know I can keep using acrylic as I get into some knitting patterns that require blocking. Thanks for the article. Found you via ravelry. I have a very basic steam iron. Do you think it will still work? I'm making a blanket and will have around 180 motifs to block before I sew them together so not having to wet block them all would be a bonus! Yes, a basic steam iron works. Just remember to hover above the fabric. Don't actually touch it with the iron. Thankyou thankyou thankyou!! That is fantastic to know. I was recently forced into substituting a natural blend with synthetic&nylon for a beret. Which, after wetblocking started to shrink and loose some of its lovely drape (much to my horror). Having read that you can't successfully block synthetics, I really had not idea what else I could do until I happened across this. You mentioned the blocking is permanent. So, if I block a Lizard Ridge baby blanket, it will still be nice after washing? @cavenewt: The answer is yes. Thank you so much!!! I've been working on a lacey blanket in Wool-ease and freaked when I learned that since it was mostly acrylic, I couldn't block it. I was horrified that all my hard work would have gone to waste. Thank you so much for this informative article. Do you have pictures of a "killed" article. I'm intrigued with this concept. No I don't. I made a pleated skirt that I killed on purpose, but I don't have a pic of it, and I don't own it any more. Most of the time I'm trying to block it, not kill it. Thank you for the technique. I made a baby hooded cardigan. I didn't block the pieces because of concept that it doesn't work with acrylic. So I had already sewn the pieces together. I used your technique and it worked very well, though I had to do it in stages. Thank you so much! thanks for the great tutorial, even tho I was raised in the "acrylic age" and know these things, I love to view tutorials and yours is great. But now I need to have this pattern, it is awesome and different. Wow! So glad to see that the blocking change is permanent (in the comments, then went back to find where I'd glossed over that initially). Was wondering if I'd have to do that every time something was washed. So I'm mentioning this point again just in case any else misses that detail and needs another opportunity to see it. Question-- I'm knitting a fair-isle sweater in acrylic. The entire sweater is in 1x1 rib. I do own a steamer. Should I steam on the wrong side or the right side? @Sarah: I would steam on the wrong side. Be extra careful not to overstretch or flatten the fabric or you could ruin that ribbing. Fairisle in 1x1 rib. Interesting. I'd love to know what pattern that is? This is such a helpful article! I am currently working on a beret out of Homespun because the recipient wanted a certain color that was not available locally in wool, and I had no time to order yarn. I own a Jiffy steamer and would be interested to know how I would block something like a hat. 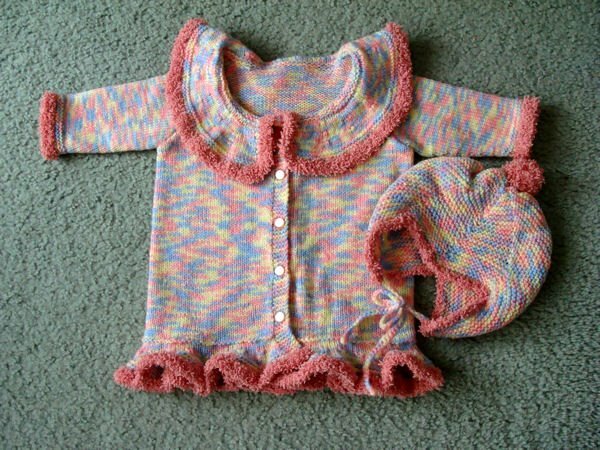 I am a relatively new knitter and don't know a lot about finishing techniques. Thanks in advance. To block a beret, you put it over a dinner plate, then lightly steam it. Most people use a 12 inch plate. If you don't have one, cut a stiff piece of cardboard into a 12 inch diameter circle and use it in the same way you would a plate. thanks for this tuto I found thanks to ravelry, I have a WIP that will absolutely need bloocking, now I know how to do it, well, theoretically. My friend asked me to knit a hat for her grandson. I made a baby's ear flap hat. It's so cute and I know it has to be blocked, especially to make sure it fits him. I want to give his grandmother instructions on how to block this, even kill it to fit him but I don't know the best way to tell her to block it...a bowl...just do one side then the other? Lynn, I would just light steam one side and then the other. The hat should fit without blocking it. Why would you want to kill it? A hat, especially a baby one, would fit better if it keeps it's elasticity. Remember, killing acrylic destroys the elasticity and ability to 'spring back'. You've got a point! I'll keep 'thou shall not kill' in mind! Thanks very much for this information!!! I disagree with your comment that wetblocking is "poor and inefficient". I want my new knits to be washed, when complete, and find that this dovetails nicely with wetblocking. Great info. I am working on a lace baby blanket ("Junebug" from Ravelry). Can I wash and dry the blanket before blocking it or should I just block it first? "Can I wash and dry the blanket before blocking it or should I just block it first?" Sure, you can wash it first. Problem. Duh. And its already been laid out and pinned down. I'm thinking of pouring hot but not boiling water on it. Think that will work? I do not know. I've never done it that way. 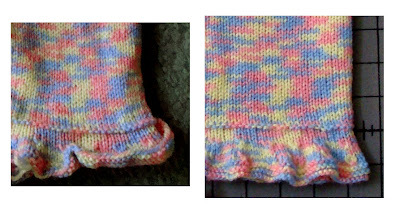 I suggest you knit a small swatch with some of the leftover yarn and try it on that first. Could you please come back and post your results here? I'm interested in what they might be. So if I block an acrylic sweater this way, and the blocking is permanent, would that mean it won't stretch out of shape after future washing? This sweater is for a young man who doesn't believe in sorting laundry and will just throw it in the washer/and dryer with anything and everything else he has. You asked "So if I block an acrylic sweater this way, and the blocking is permanent, would that mean it won't stretch out of shape after future washing?" No, it does not. 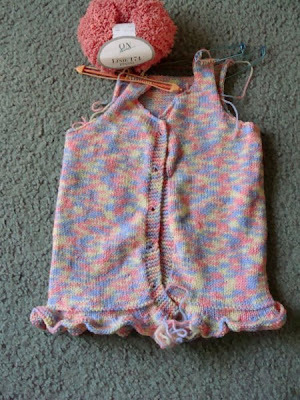 Blocking has nothing to do with how a sweater will wear. The things that determine that are the quality of the yarn and whether or not it's taken care of properly. Fact is, if you toss an acrylic sweater in the dryer on the hot setting, you're gonna ruin the sweater. I was taught to steam block acrylic with a steam cloth way back in the late 60's, so it was a real surprise to me to join online communities and find out that folks were adamant that acrylic cannot be steamed or steamed with a cloth. I still learn things and thought I had ruined an acrylic sweater with too vigorous steam blocking where I left lines from the iron. To my surprise, these lines disappeared when it was laundered. Thanks for the website -- now I can point folks to it. I am wondering if I need to steam block with 52% acrylic, 40% wool and 8% nylon? And do you think the blocking will be permanent with this mixt? The answers are yes and yes. There is plenty of acrylic to make it permanent. Just so you know, though, I steam block everything. It's gonna be my first time with steam blocking. I hope I won't kill it!